Today was the day for candidates to submit petitions to run for offices on the municipal primary ballot on May 21. 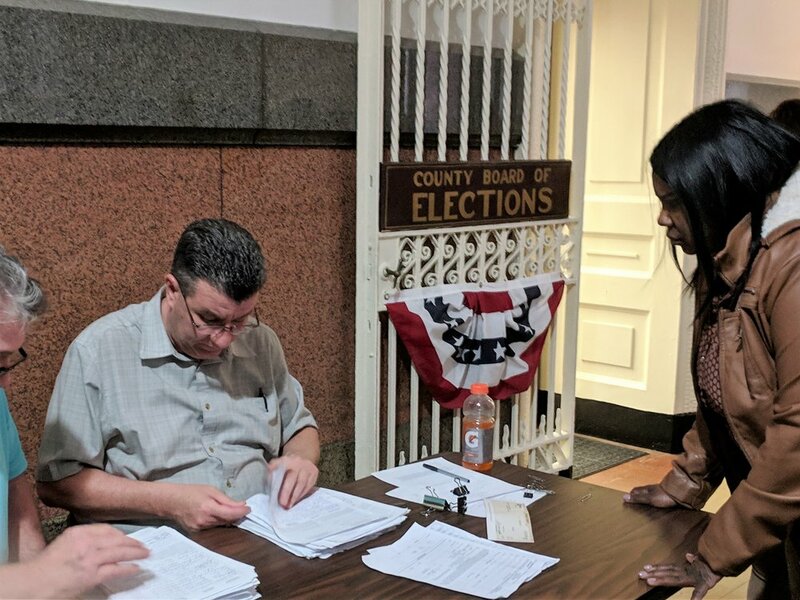 From Northeast Philadelphia to the Philadelphia International Airport, Carla Cain received almost 4,100 signatures on her petition to run for City Commissioner. Candidates for city-wide office needed 1,000 signatures. As she will be representing the entire city, she wanted to have signatures from different neighborhoods. Carla is a committeeperson in the 25th Division of the 22nd Ward (Mt. Airy) and was elected to the State Democratic Committee. She has been involved in the political process for 30 years and has two degrees in government and political science related to policy and working and navigating through the legislative process. She has registered over 2,700 people throughout the city. Carla wants to convert registered voters into actual voters. Read and listen to story on KYW News Radio. Pat Loeb of KYW News Radio 1060 interviews Carla Cain after Carla filed her petitions for City Commissioner. Read and listen here.